I often return to blog posts of the past. My blog posts of the past. As I’ve been blogging for 6 years – more or less daily for 5 of those years – there are quite a few blog posts to choose from. When there’s an interesting article or question or observation asked, many times I am reminded of something I’ve written that is relevant to whatever prompted the connection being made in my mind. So I search for it (and oftentimes find what I am looking for. Not always though) and can share what I’ve written and pondered about… about whatever really. Fear. Mistakes. Dancing. Coaching. Existential questions. Anything really! I think you can read at least half my blog posts as political, but none of them are saying Today, I think this person is wrong and this person is right, because as soon as I do that it’s so easy to ignore what I said because I am not on the right team, what ever team you want to be on. And so, I don’t want to play that sort of short-term tribal thing. Instead I want to say thank you to people from where ever you are coming from for giving me two minutes of your time, think about this. And if you think about this and still want to support that, well that’s your choice because you are a grown-up. Because I don’t believe what you believe, I don’t know what you know, I don’t want what you want. But here, here is a thought that feels to me coherent, and hard to argue with, and I notice things, do you notice this? And I know that that kind of input has influenced my life coming up, particularly as a teenager and surely thereafter, way more than when someone says this person is right, that person is wrong. 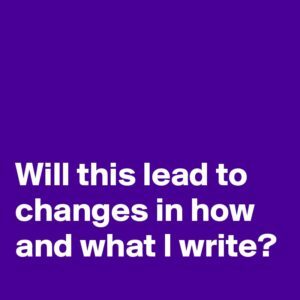 This is truly food for thought for me, and in how and what I write. Because I do chime in, now and again, on the specifics of the issues of the day. And those are posts that have a much shorter lifespan than posts that take the larger view. 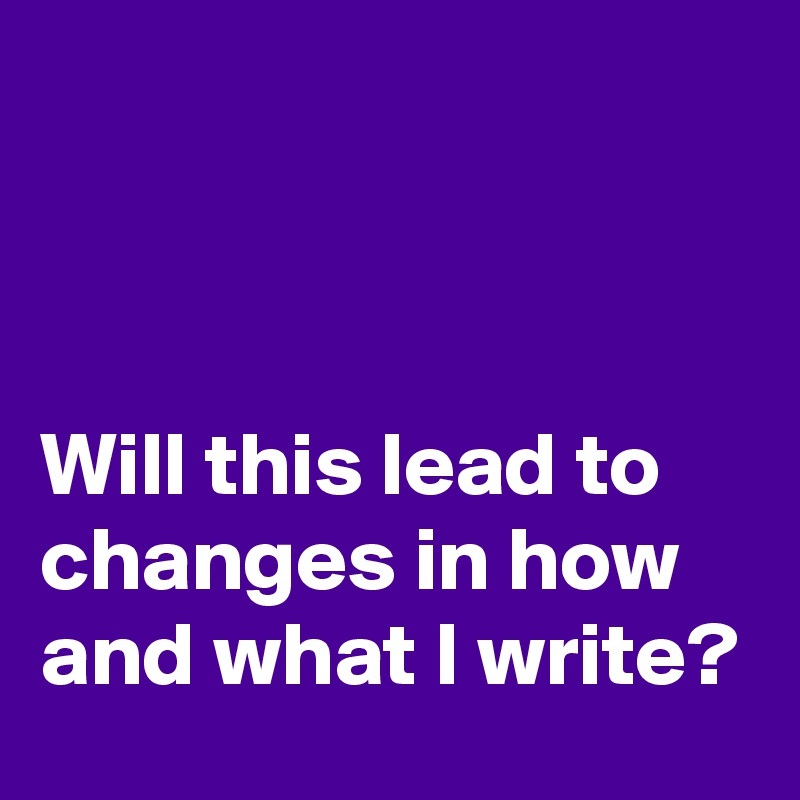 I love how a new thought can open up for new perspectives – will this lead to changes in how and what I write? Or not?